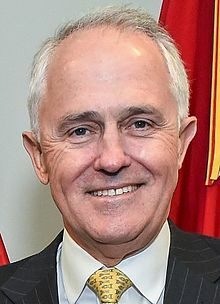 The Prime Minister of Australia, winning re-election. The big news for markets this week is the rebound towards the end of the week in global indexes, following the precipitous drop that started the week on continuing Brexit fears, as well as a slowing United States and global economy. The American Dow Jones Industrial Average after losing some 300 points earlier in the week, has now pushed past 18,000, in a rally this morning with a gain of 200 points. This was due to the positive June jobs report. The creation of 287,000 jobs exceeded the expectation of 175,000. Meanwhile the dismal May report, was reduced further from 38,000 to a mere 11,000. The Standard & Poor 500 index has now reached a high for 2016 at 2,124.23 after a gain of over 1% on Friday. The United States 10 year government bond yield, remains at a record low of 1.378% and the 30 year rate at 2.15%. The probability of a hike in interest rates in 2016 is now 12%, down from 59% a mere month ago. The Federal Reserve Bank of the United States further extends a lender deadline, to fully implement the Volcker rule. Creditors now have until July of 2017 to rid their balance sheets of legacy investments and to end relationships with funds that are now prohibited. This was made part of the Dodd-Frank financial reforms passed in 2010. 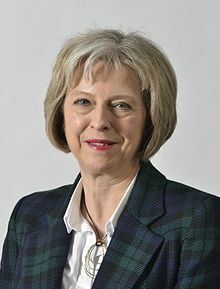 In the United Kingdom, the strongest contender to replace outgoing Tory Prime Minister David Cameron is Home Secretary Theresa May. She has already gained the support of more of the ministers in Parliament than any other candidate. British pound sterling continued its decline this week to a 31 year low of $1.2786 in valuation to USD (United States Dollar). This amounts to a 14% decline since the Brexit vote. British banks have been authorized to lend an additional 150 billion pounds by the reduction of the capital reserve buffer. This was a decision made by the Bank of England, in order to avert a possible cash crunch. The government of the United Kingdom is also proposing a reduction of corporate taxes from 20% to 15% in an effort to boost more foreign investment and ward off a possible recession. This is far closer to the exceptionally low rate of 12.5%, that exists in Ireland. If the reduction is put in place, it might well bring another race to the bottom among other nations in Europe and elsewhere. In related news, retailers in the United Kingdom experienced the worst monthly sales in June not seen in a decade. Same store sales plunged 3.6% last month, following the Brexit vote. 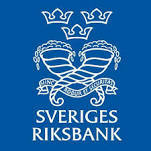 The central bank of Sweden is maintaining its main interest rate at -0.5%. Future rate hikes have been delayed because of the uncertainty created by the Brexit vote and the general slowing global economy. Although the economy of Sweden is somewhat strengthening, government bond purchases will continue throughout 2016. Both Germany and France have assured countries in Southeastern Europe that their prospective membership in the European Union will proceed on schedule, despite the outcome of the Brexit vote. The further delay with Serbia they insist, has nothing to do with the recent referendum held in the United Kingdom. Business activity in the Euro-zone held steady last month as a decline in France was counterbalanced by an strong increase in Germany. GDP (Gross Domestic Product) growth in the common currency bloc is now at 0.03%. The German trade surplus dropped to $24.6 billion USD in May, after reaching a record $26.7 billion USD in April. The Chinese economy continues to move away, from an over reliance on the manufacturing sector. The services sector saw the largest increase this past May in 11 months. Economic growth is now dependent on further growth in services. Chinese foreign exchange reserves rose $20 billion in June, to $3.21 trillion USD. This was a rebound from a 5 year low that was recorded in May. The Chinese yuan has depreciated by 1.5%, since the Brexit vote. It is now at the lowest valuation since 2010, at a rate of 6.68 per USD. 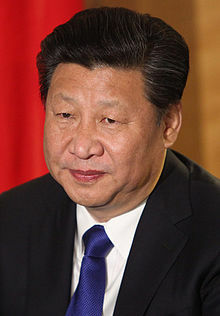 The Chinese Communist Party under the direction of President Xi Jinping, is exerting more control on the daily operations of state owned companies. This is impacting foreign owned companies that have formed business partnerships with these entities. As investors continue their flight to safety, the Japanese yen rose to 100.75 vs USD. Along with a surging currency, Japan saw the 20 year government bond yield go below zero for the first time and the 30 year bond dip to a record low of 0.015%. The Japanese current account surplus dipped 2.4% in May to $18 billion USD. This is a result of a stronger valued yen. The central bank of Australia held steady, a benchmark interest rate this week at a record low of 1.75%. The expected decision was made amidst the political uncertainty over the recent election. It looks like Prime Minister Malcom Turnbull will be able to pull out a narrow victory for a coalition government. Australia is in danger of losing its AAA credit rating, due to political uncertainty and a ongoing government budget deficit. The S&P credit agency has reduced Australian debt outlook to negative this week. Gold is still moving higher, reaching a high of $1,370.80 an ounce today. It has increased in price for 6 weeks in a row now. The big mover though remains silver. An additional +1.30% Friday morning, brings the price up to $20.00 USD, $0.52 higher than last week. Total global oil reserves now stand at a new high of 2.1 trillion barrels. According to a new study, the United States now possesses more oil reserves at 264 billion barrels than the closest two competitors. Saudi Arabia and Russia the two largest oil exporters, have reported reserves of 212 and 256 billion barrels respectively. Middle Eastern oil now makes up 34% of global output, at 31 million barrels a day. World demand is becoming more reliant on this source of crude once again, reaching a level not seen since the 1970’s when it was 36%. On Friday morning, American West Texas Intermediate (WTI) oil increased +0.44% to $45.34 USD. Prices are now $3.28 USD lower from last week. International priced Brent is up by +0.60% at $46.68. This is a $1.83 USD decrease in valuation from the week before. The Investment Newsletter had 4 target fills to report this week, and 0 early stock target fills.